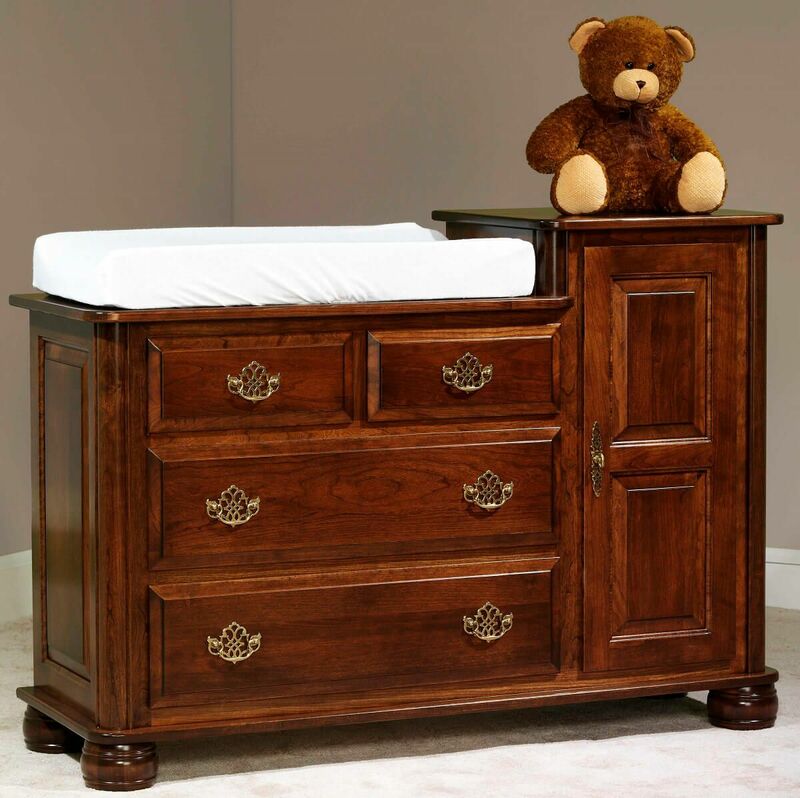 Our Amish handcrafted Prestige Changing Table is completely customizable in your desired domestic hardwood, finish, and hardware to last a lifetime. 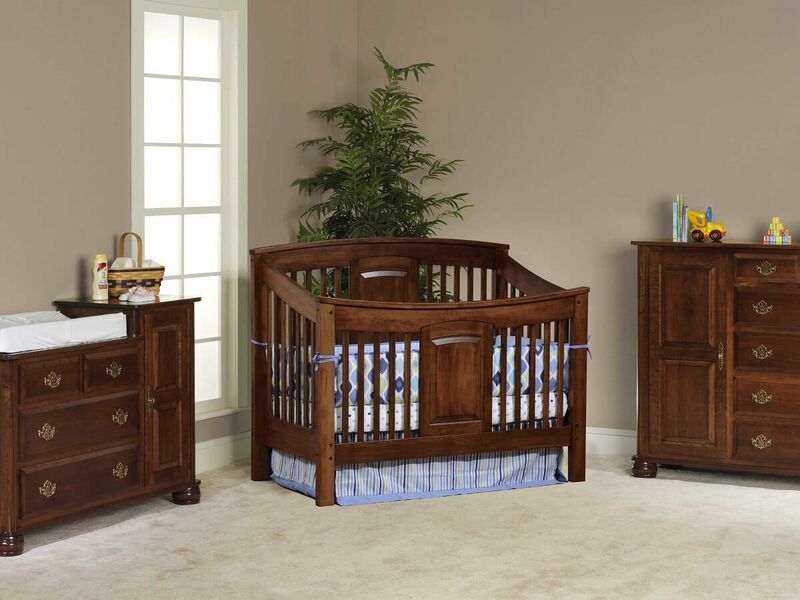 Adjust the design of your Prestige solid wood changing table to fit your needs. All our furniture is made in the USA of hand selected American hardwood. You choose the wood species, the stain, and the hardware. We provide quality, durable heirloom furniture to your specifications. Drawers are fully finished to match the changing tower’s exterior.